Who says there’s hardly any fun at a county fair? Seniors attended the Mayor’s Annual Craft & County Fair, held Nov. 18 at the Neal S. Blaisdell Center Exhibition Hall. Craftspeople sold beautiful handmade items and Uncle sold his paintings. Singing? Can’t go without that. Mr. Ed Angel participated in a karaoke contest singing it his way, MC’d by Jeff Apaka. 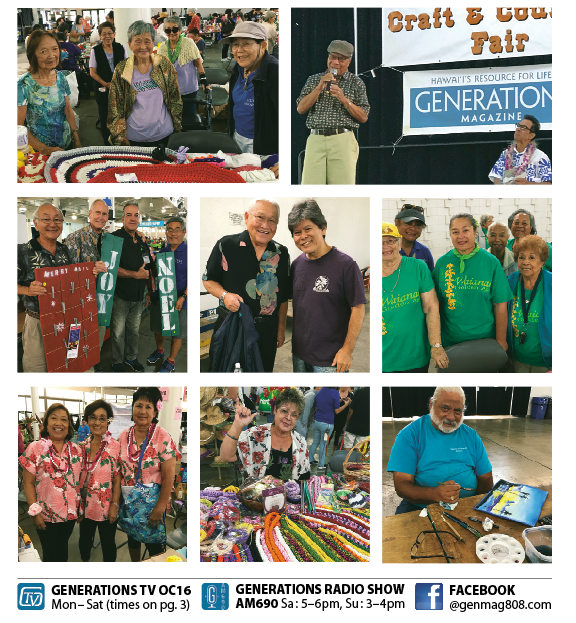 Generations Magazine partnered in the City and County’s Honolulu Department of Parks and Recreation event. Lots of smiles and laughter at these events, so be sure not to miss this year’s fair in November.